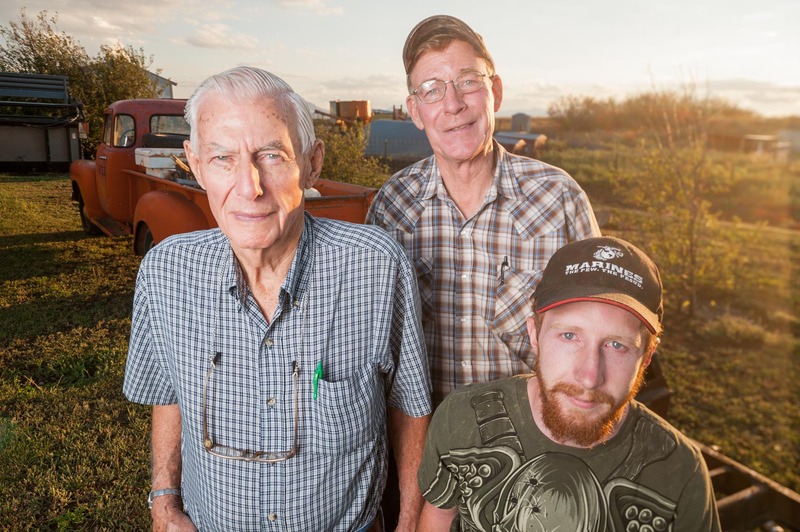 After serving in the Marines in World War II, Henry Armstrong, left, took over the farm his father homesteaded. Now in his mid-80s, most of the day-to-day operations have passed on to Henry's son, Stuart, center. Hope is that Stuart’s son, Alex, 24, will one day take over after he does a stint with the Marines like his grandfather.